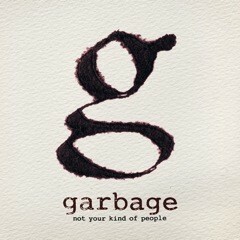 Garbage are to release their fifth studio album, ‘Not Your Kind Of People’ in the UK on May 14th, on the band’s label STUNVOLUME. The album will be licensed by Cooperative Music and will be available on CD (standard / deluxe), digitally (standard / deluxe) and deluxe 12”. Garbage - Shirley Manson (vocals), Steve Marker (guitars, keyboards), Duke Erikson (guitars, keyboards) and Butch Vig (drums, loops) - will hit the road this spring in support of the album, playing the Troxy in London on May 9th and several other headline shows and festivals throughout Europe and the U.S. with more dates to be confirmed. Garbage released their self-titled debut album in 1995 and rode a wave of visually arresting, female-fronted alternative rock bands. The album spawned the hit singles ‘Stupid Girl’ and ‘Only Happy When It Rains’ and was certified double platinum in the United Kingdom, Australia and the United States. The band won the Breakthrough Artist Award at the 1996 MTV Europe Music Awards, and were nominated for the Best New Artist Grammy® Award. Their second album, ‘Version 2.0’, was released in 1998 and topped the charts in the United Kingdom. It was nominated for two Grammy Awards, Album of the Year and Best Rock Album. 2001’s ‘Beautiful Garbage’ was named one of Rolling Stone Magazine’s Top 10 Albums Of The Year. In 2005, Garbage released ‘Bleed Like Me’, earning the band their highest chart position in the US with a No. 4 on the Billboard Top 200 Album Chart. 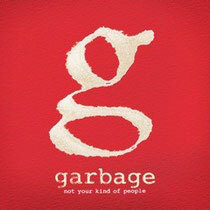 In 2007, the band released a retrospective collection called ‘Absolute Garbage’. Garbage have sold over 12 million albums worldwide and have performed in over 35 countries and will tour extensively worldwide in support of this new release. For full tour details, click the link below.